Component speaker systems are the best way to get high-quality sound in your vehicle. You'll find a wide variety of component speakers available, so picking out one set can be a bit daunting. But if you keep a few important points in mind, you'll be able to make a smart choice for your vehicle. 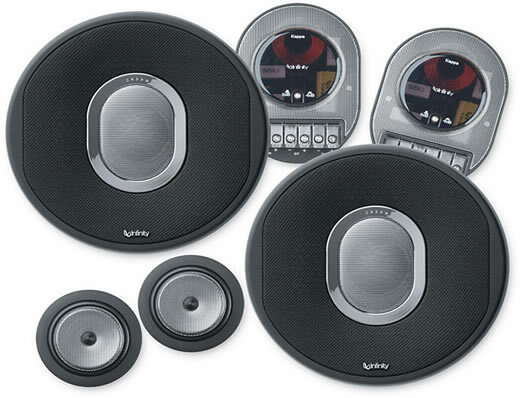 Your car's sound system will determine if you buy speakers with a high or low sensitivity rating. Simply put, sensitivity measures how much sound a speaker makes from the power applied to it. If your car's system is low-powered (15 watts RMS per channel or less), you'll get better results from speakers with high sensitivity ratings (over 90 dB). If you're using a high-powered stereo (16 watts RMS or more) or an external amplifier, extend your search to the less efficient systems which are built to handle more power.